NMM 8396. 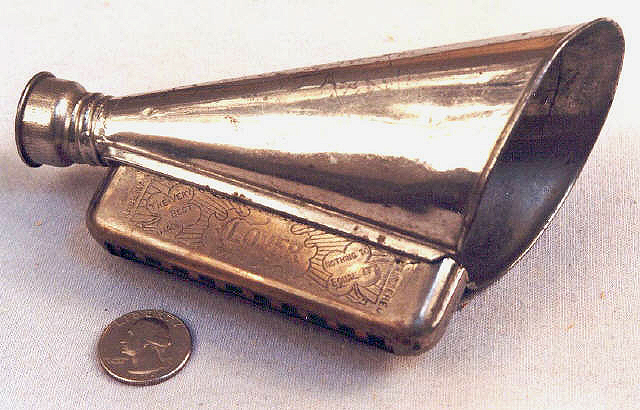 Harmonophone harmonica, Clover brand, Klingenthal, ca. 1900. Attached to the narrow end of the funnel-shaped resonating chamber is a cup-shaped "Zobo" mouthpiece containing a thin, vibrating membrane that is capable of producing a sound like a kazoo. Alan G. Bates Collection, 2000.